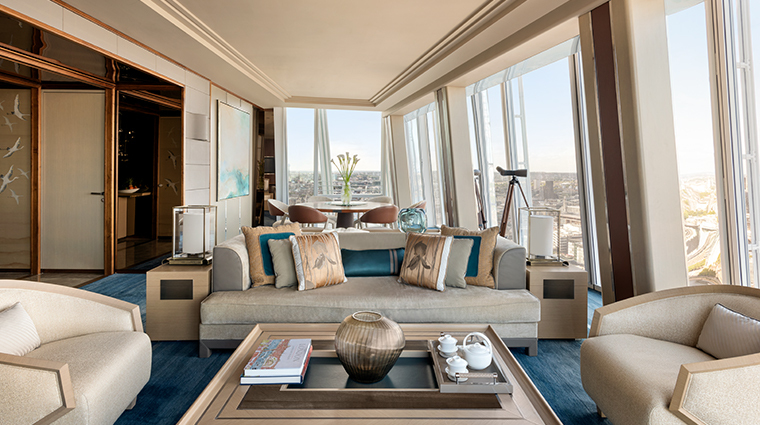 Shangri-La Hotel group’s first property in the U.K. enjoys a spectacular location within The Shard, London’s megawatt skyscraper. 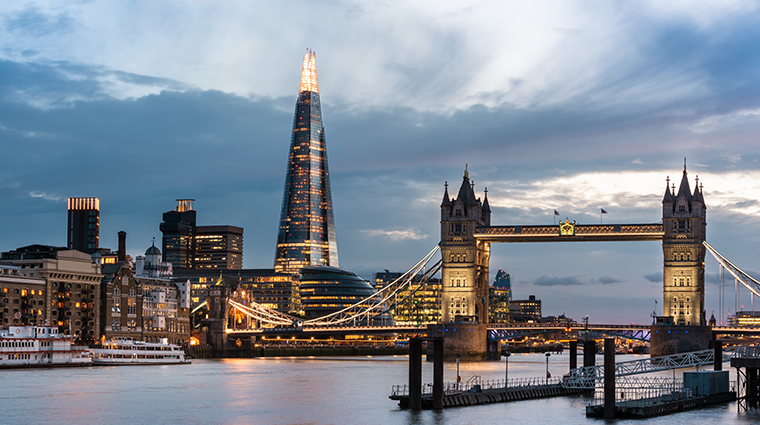 Designed by world-famous architect Renzo Piano and open to the public in 2013, the tallest building in Western Europe dwarfs practically everything else in the city’s skyline. 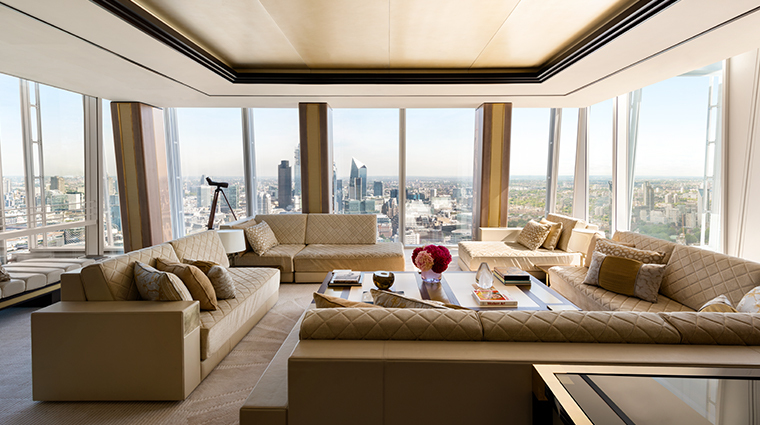 The London hotel itself is located on floors 34 through 52. 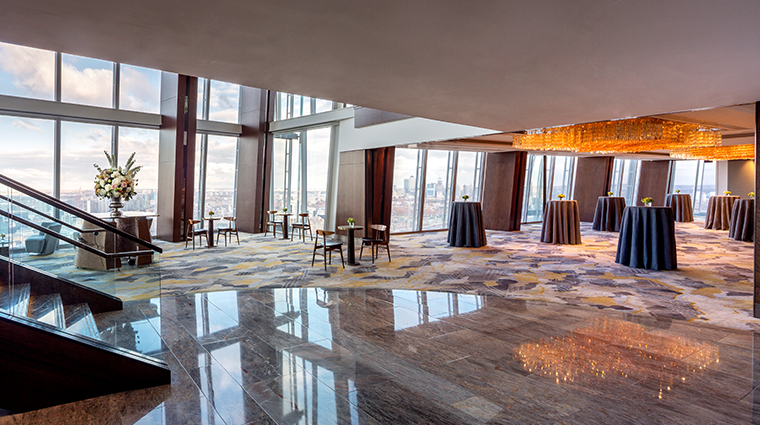 Upon arrival, the door staff will whisk you from the ground level entrance up to the Sky Lobby. 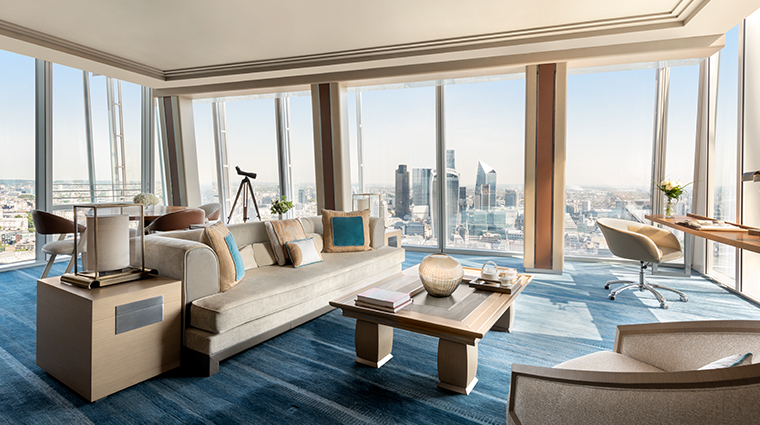 With floor-to-ceiling windows in all of Shangri-La Hotel, At The Shard, London's rooms, you will have to pull yourself away from the stunning city views to take in London’s nearby attractions including Borough Market (just a few minutes away by foot), the Tower of London and St. Paul’s Cathedral. 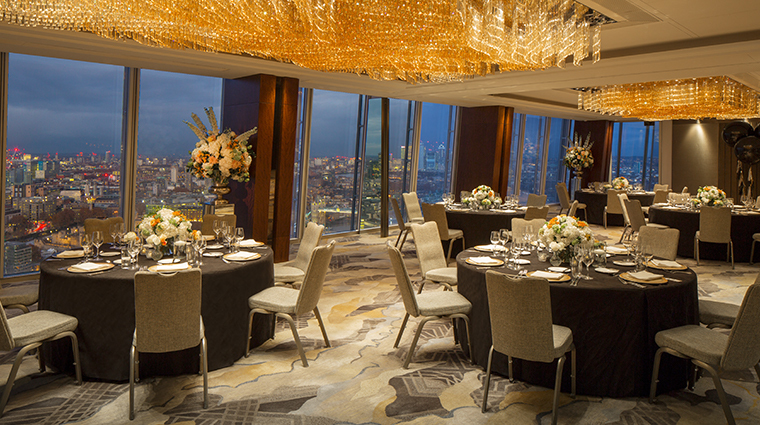 The place for pre- and post-dinner drinks is Gong on the 52nd floor. 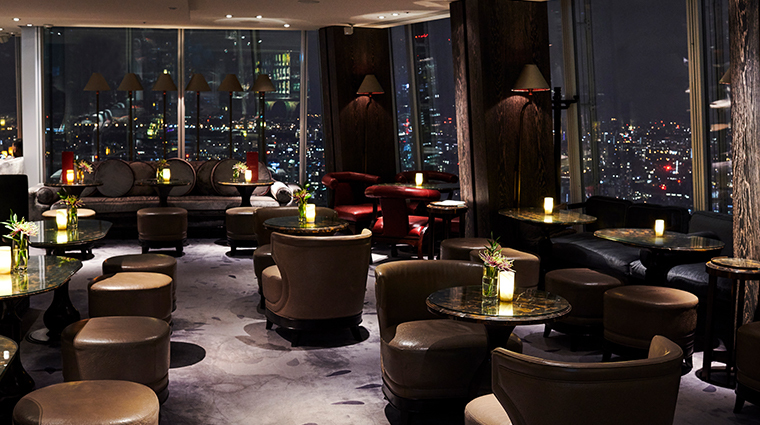 As the highest bar in London, viewing the sunset here is particularly popular here. 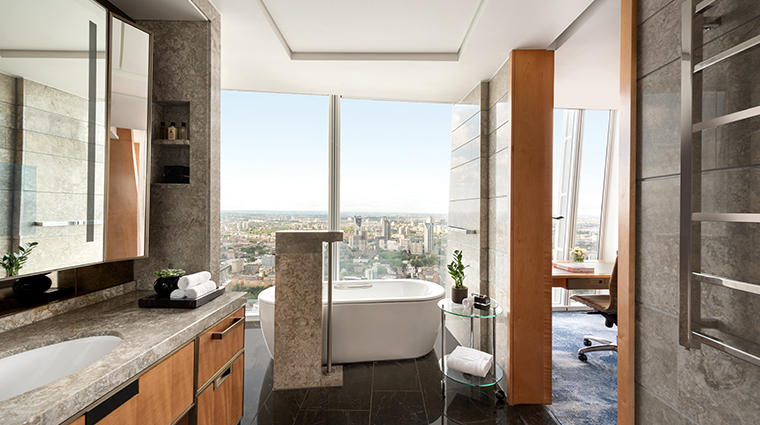 Take a dip in the luxury hotel's infinity pool for views of St. Paul’s Cathedral, the London Eye and the Houses of Parliament as you swim your lengths. There’s a fully equipped gym, too, that is open 24 hours a day. Personal training and spa treatments are also available. 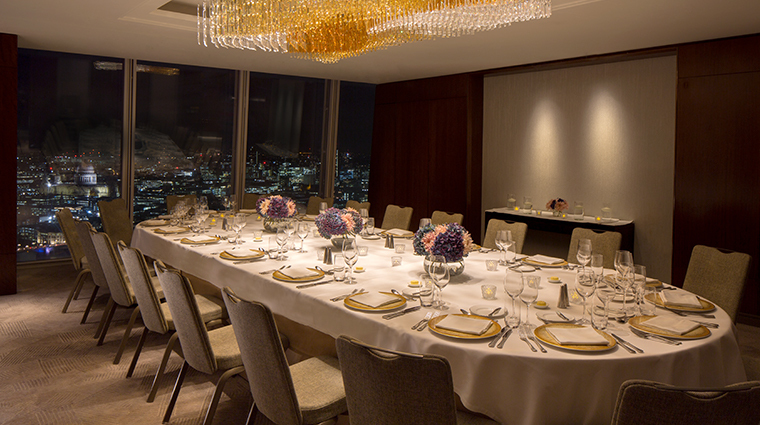 The hotel is just across the river from The City of London, and a scenic 15-minute river taxi ride from the Canary Wharf business and commercial hub. 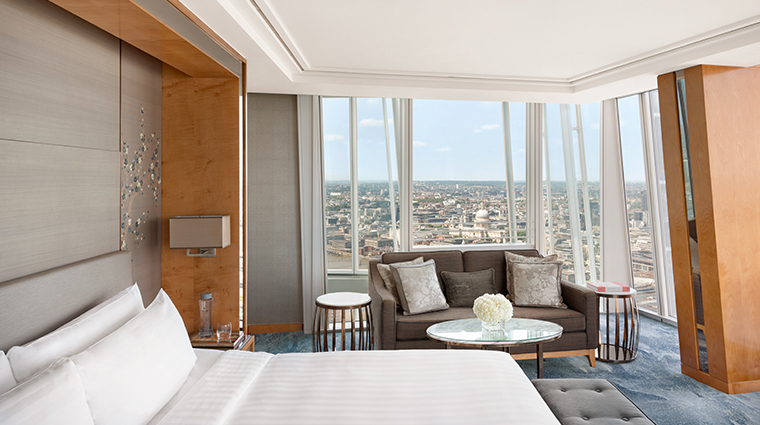 The corner Iconic City View rooms offer something a little extra: an 180-degree panorama of iconic landmarks Tate Modern and Shakespeare’s Globe. 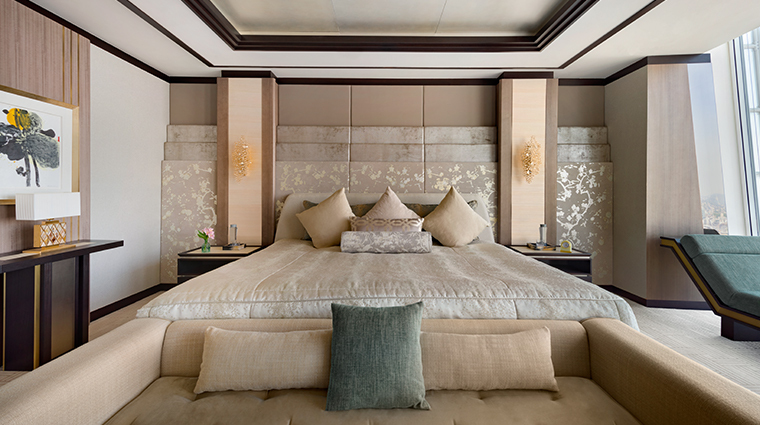 Book one of the London hotel’s 17 suites to receive personal butler service. 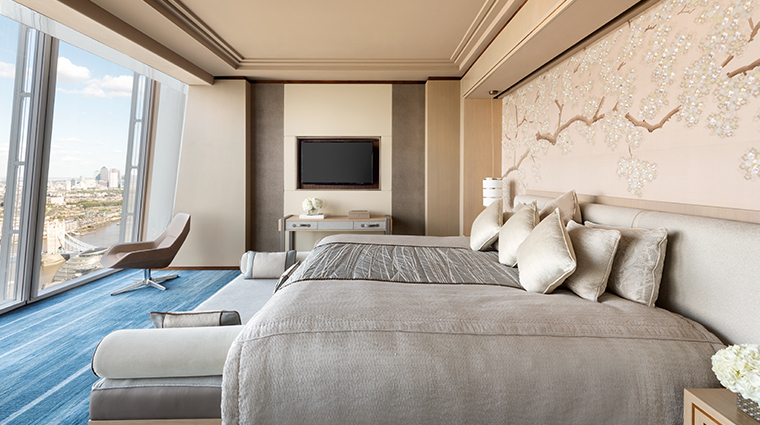 While the hotel doesn’t offer a full service spa, you can indulge in a massage without ever leaving the comfort of your room. 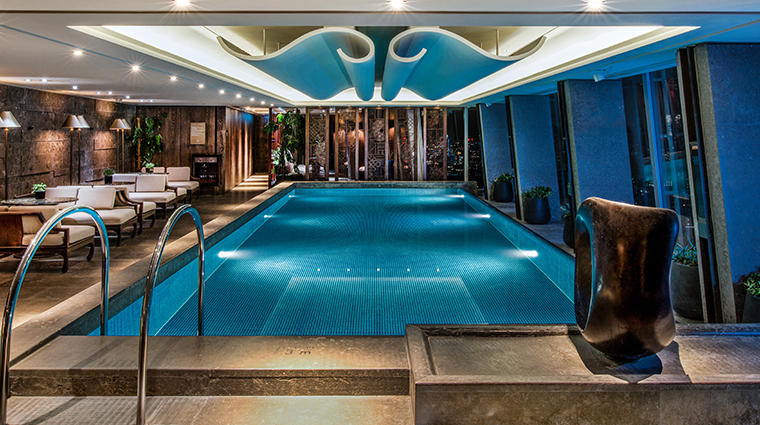 Specified swimming times for children means that you can enjoy a peaceful swim in the London hotel’s 52nd floor pool at certain times of day. 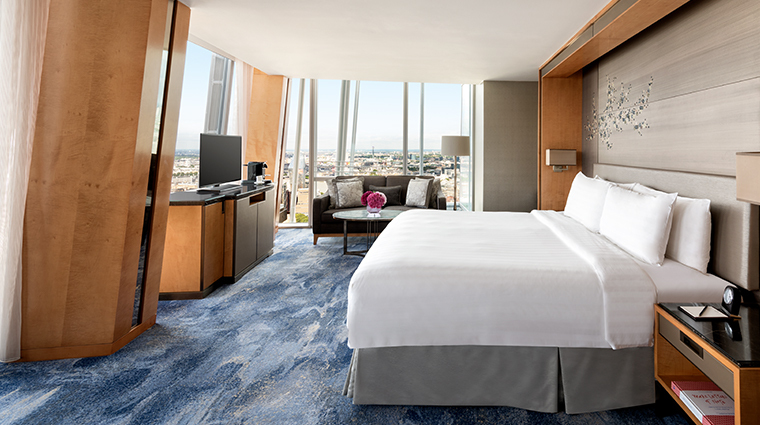 All 200 rooms have the luxe little touches we’ve come to expect from Shangri-La hotels, including body-contouring beds with 300-thread-count Frette linens (and up to 1,000-thread count in the highest level suites) and a pillow menu. 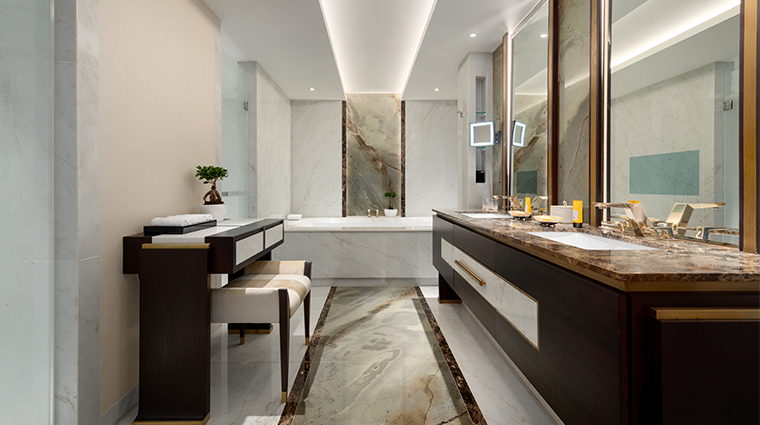 Luxurious touches include bathrooms with heated floors and Acqua Di Parma amenities, plus a pair of binoculars to use (to take advantage of those views). 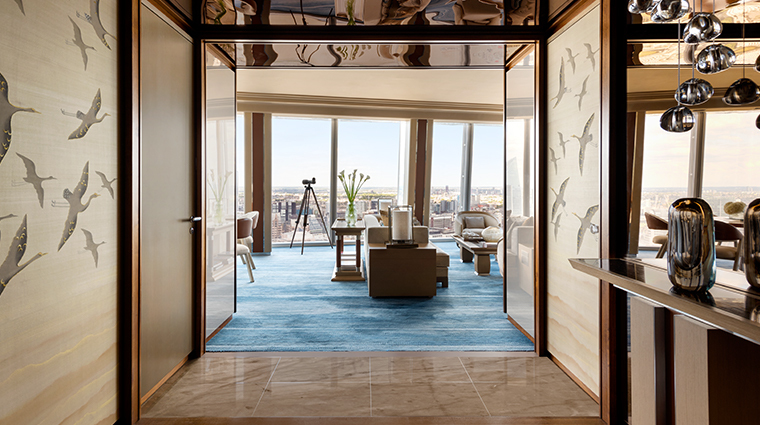 Décor is sophisticated but understated — the focus here is on what’s on the other side of the windowpane. 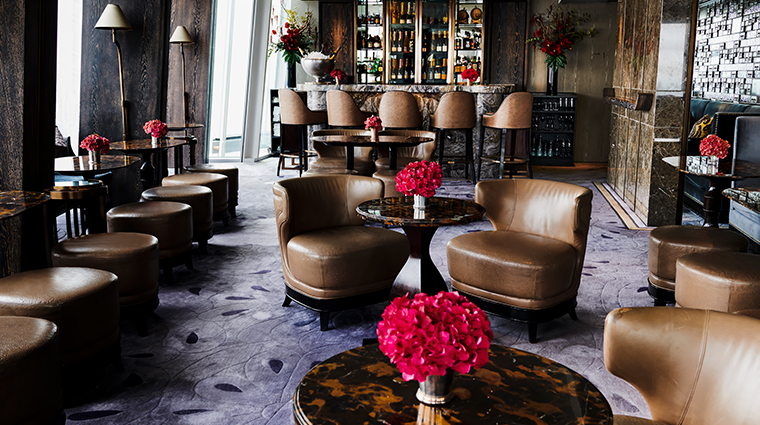 TĪNG, the restaurant and lounge on floor 35, serves a modern European menu with Asian touches, such as teriyaki monkfish, and loin of lamb with mirin and sake. Classic brassiere dishes like British steak are also available, as is a menu of comfort foods that includes tomato soup, sandwiches and salads, as well as Chinese and Middle Eastern classics. 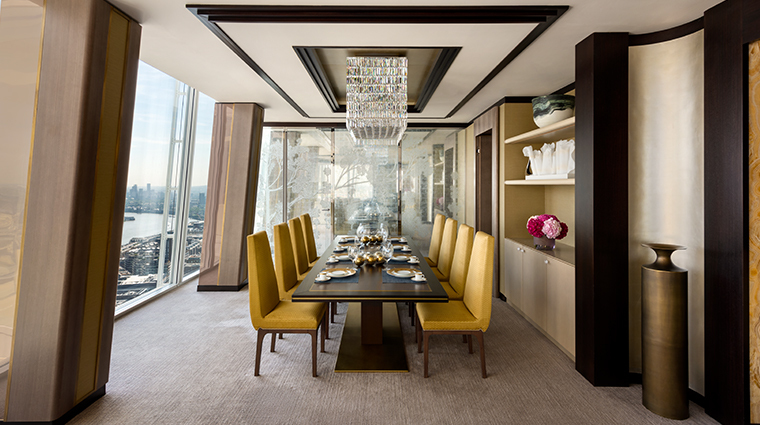 Choose between the restaurant and the more informal lounge, which also serves afternoon tea. 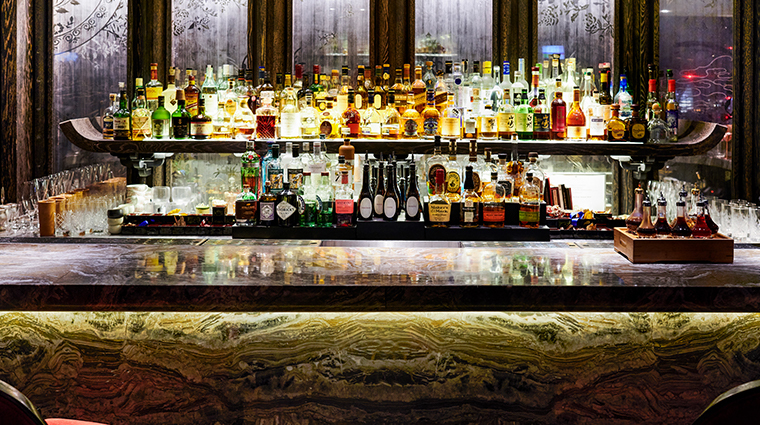 Bar 31 is the perfect meeting place to unwind with a glass of wine, some champagne, a local spirit or a craft beer, such as The Porter by neighboring brewer Anspach & Hobday.